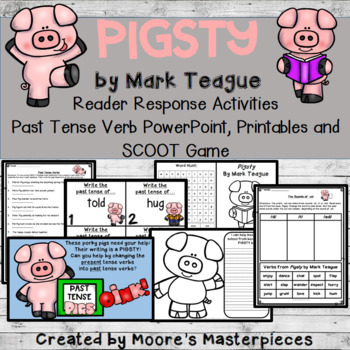 Pigsty by Mark Teague is a book that always captures my students' attention! Each child can relate to mom demanding her son to clean up his room! 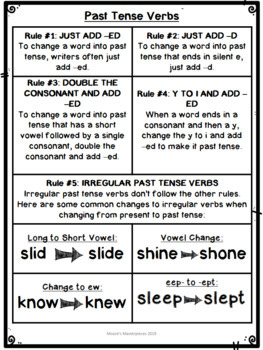 This text also contains many past tense verbs, lending itself to verb word work. 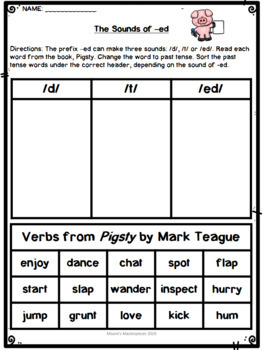 The product I created contains both reader response activities and a mini-lesson on changing verbs from present to past tense. 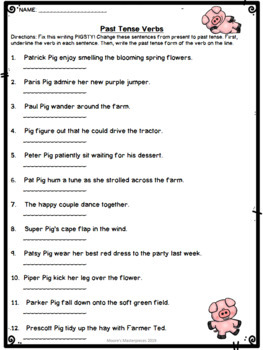 Be sure to take a peek at the preview for more specifics and examples of each.